The physical traffic situation during the UNGA is a fitting metaphor for the state of the online infrastructure that underpins the sustainable development agenda today. Despite the momentum that’s been built, the standards, tools and systems required to facilitate individual and collective action are often missing. A CEO survey by PwC suggests in 2015 only 13% corporate CEOs had the tools in place to measure their impact against the SDGs. While we believe that this number has since shifted, delivery barriers still exist and will be apparent in public sector and civil society organizations alike. Meanwhile, C-Change research has found 200 online platforms dedicated to facilitating learning, collaboration or the channelling of financial and non-financial support towards sustainability. Few have reached the critical mass needed to do so effectively and at scale, while many exist in isolation or even operate in competition with one another. The result is a fragmented, sub-scale system. TPI has found a similar pattern in its work supporting the development of in-country platforms dedicated to encouraging multi-stakeholder partnerships for the SDGs. To browse through our interactive platform map or to add a platform that we didn't pick up on yet, click HERE. This infrastructure gap results in a reality where not enough is known about actual, on-the-ground needs and solutions, or where much needed, collaborative action agendas fall flat. It also means that essential capital doesn’t reach the businesses or organizations that deliver these solutions or that they fail to go the last mile in achieving measurable results. Resources go to waste and we are back in a congested traffic situation, with hundreds of actors getting lost, stuck without fuel or arriving late at their destination. We believe the current situation is untenable and unnecessary. Untenable as we are getting dangerously close to doing irreparable damage to our world and urgently need new tools of the trade that effectively shift behaviours and enable sustainable decision-making; unnecessary, as we collectively have the resources, skills, and technologies to do so. It is high time we collectively bring our SDG infrastructure and online systems into the 21st century. In a recent blog post, the Omidyar Network calls for shared definitions, tools, standards and data to help investors navigate an increasingly diverse impact market. We agree and would add that the same is true across the development field, where efforts to build platforms for multistakeholder collaboration too often lack alignment. Such alignment between platforms is critical to ensure capital flows to the most effective investment opportunities. It is also needed to create the maps that allow individual actors and consortia to carve out their paths and destinations. Efforts such as those by the Impact Management Project (IMP) and the World Benchmarking Alliance, who collectively consulted more than 1,000 organizations from all sectors on effective ways to evaluate impact, are critical to achieving such alignment. 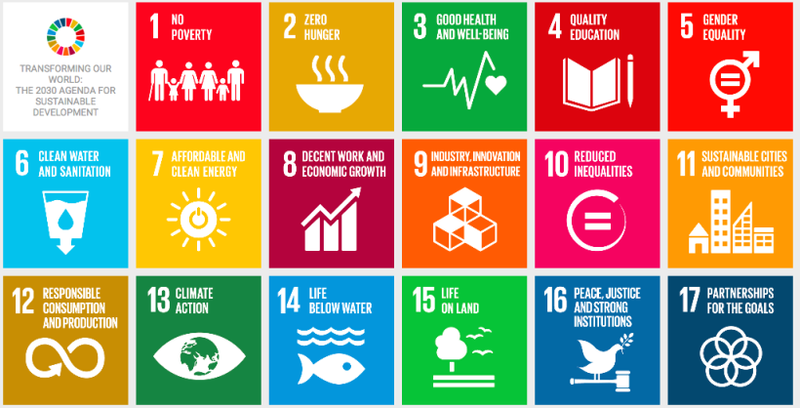 The UN has an important role to play in translating such standards to the SDG framework. An easy mistake to make in the world of collaboration and platform development is launching a new solution with the intention of immediately becoming a ‘platform of platforms’. Addressing fragmentation by adding a new solution can hardly be the answer. Treating today’s vast universe of online SDG hubs and platforms as unique and independent, while bringing in place the backbone infrastructure and protocols that enable aggregation and content exchange can be a solution. Efforts, such as the API Highways Initiative by the Global Partnership for Sustainable Development Data Efforts, are great first steps, yet more needs to happen to make it easy and worthwhile for online platforms all over the world to feed into and contribute to a shared backbone. A joining of forces between smaller specialist sustainable solution providers and tech giants such as Salesforce, Microsoft, or Google – given their existing reach, platform strength, and ability to set standards – will be important. Exacerbated by a scarcity of tech expertise and financial resources, we would argue that the role of technology as a lever of change is underutilized and often an inhibitor to impact when solutions are ineffectively implemented or managed. This is equally true for the use of established technologies and those that have emerged as part of the Fourth Industrial Revolution, such as artificial intelligence (AI) or blockchain. Large companies are showing the way forward here. We seeing blockchain used to promote sustainability goals, with examples such as Coca-Cola’s work with the US State Department on forced labour or Unilever and Sainsbury’s work with tea smallholders. Much can be done to take advantage of these frontier technologies as well as "bread and butter" technologies to establish a decentralized, disintermediating and more intelligent SDG environment that includes greater transparency, efficiency and decentralized data ownership. Multiple “tech for good” coalitions (e.g. Consensys’ Blockchain for Social Impact and UNDP’s Blockchain Commission for Sustainable Development) have begun to explore ways to do so. Such coalitions have an important role to play in building the right bridges between tech and sustainability, surfacing tech solutions that actually work and – especially in a world of blockchain mania – maintain a sense of realism while ‘SDG coins’ pop up left and right. Putting this design principle at the heart of all development efforts and ensuring that a cadre of leaders and individuals stands that is fluent in both tech and sustainability are involved is important. An important inhibitor of the use of technology in support of the SDGs has been a lack of resources or, as some argue, insufficient investment in an infrastructure to enable its use. While the tide has begun to turn, the capital that is available (grant or investment) to bring in the right solutions has not been at the level required to truly unblock the system. This is not surprising: a number of failed platforms and the need for a long investment horizon to achieve the financial returns on such solutions make many hesitant to commit. Our solution? Pool efforts to bring the capital and non-financial resources together that are needed to support those solutions that collectively lead to the standards and decentralized, interoperable systems so critical for SDG success. To deliver on this plan, the UN has a unique role to play in “corralling the troops” in support of a shared SDG tech agenda or blueprint, but also in getting providers and partners to adhere to open architecture protocols and standards. Governments and philanthropic institutions with an interest in stimulating collaboration and private sector investment in the SDGs must do the same and support solutions that contribute to a more navigable system. To individual platforms we say: don’t build a new platform when the need to do so is not clear. And, when you do, use the systems that already exist – which is the case nine times out of 10 – and align to the protocols that enable an exchange of content. We are encouraged by the many conversations taking place about the need for a (technological) systems reset. Our hope is that by sharing our five-point plan for change, we can make a small contribution to connecting the great energy that has emerged around the SDGs with actual collaborative action and impact. To quote the CEO of Philips, Frans van Houten: “We are at one of those pivotal moments in history when we need to think and act differently”. It is high time we do exactly that. Dave Prescott has over fifteen years’ experience in cross-sector partnership and sustainability, with a particular focus on communications and project management. Dave supports strategic communications at TPI. He was the lead writer for ‘Unleashing the power of business’, a TPI report designed to enhance the role of business in the post-2015 development agenda and has co-authored two partnering toolkits, one focussed on Zambia and another on non-communicable disease.